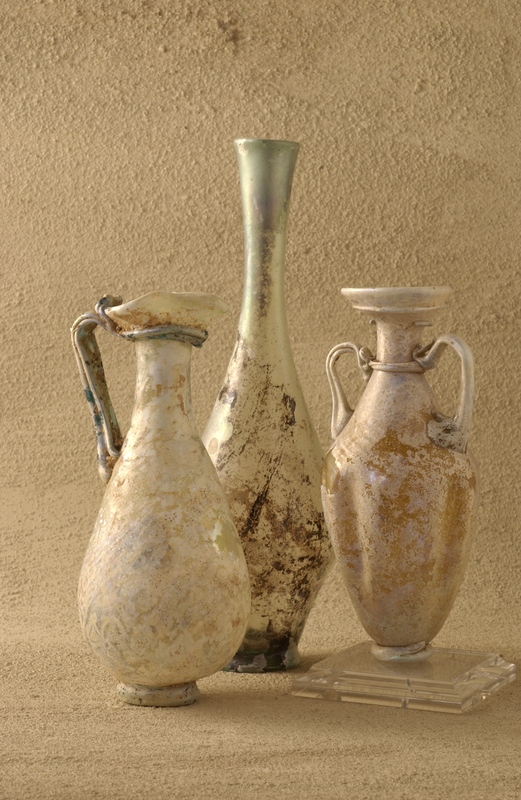 Dinner in antiquity was almost always a social affair shared with a few close friends at someone’s home. Do you sometimes wonder whether or not to set out place cards for your dinner party? Well, you are not alone; the ancients debated the issue too. Ancient Romans like Plutarch discussed the philosophical merits of “whether the host should arrange the placing of his guests or leave it to the guests themselves.” Then, just as now, both assigning seats, and not, had merit. Some ancients argued that seats should be assigned to give due respect to a guest’s age and rank. They considered it rude not to assign persons of special status a place of honor or not seat him near other important guests. Others, also in favor of assigning seats, felt the decision should be based on who will get along rather than on rank. “For it is not prestige, but pleasure which must determine the placing of guests; it is not the rank of each which must be considered, but the affinity and suitability of each to each.” Still others argued that the guests should decide for themselves where and with whom they are most comfortable sitting. Plutarch’s advice was to “separate contentious, abusive and quick-tempered men by placing between them some easy-going men as a cushion to soften their clashing” and match guests whose personality style and interests complement one another. 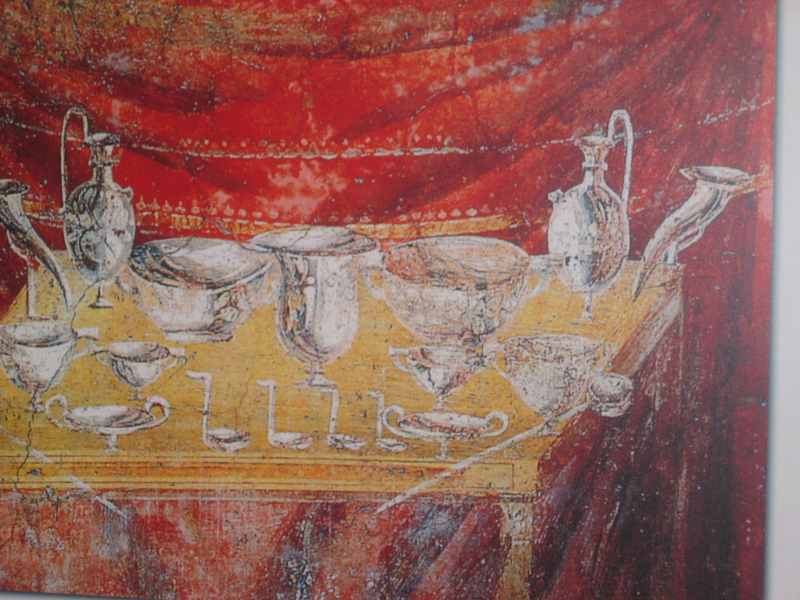 The ancient Romans ate reclining on couches in dining rooms lavishly decorated with frescos, mosaics, wall hangings and art objects. To add to the festive mood they scattered flower petals on the floor before a feast. Some flowers were thought to protect guests from food poisoning. 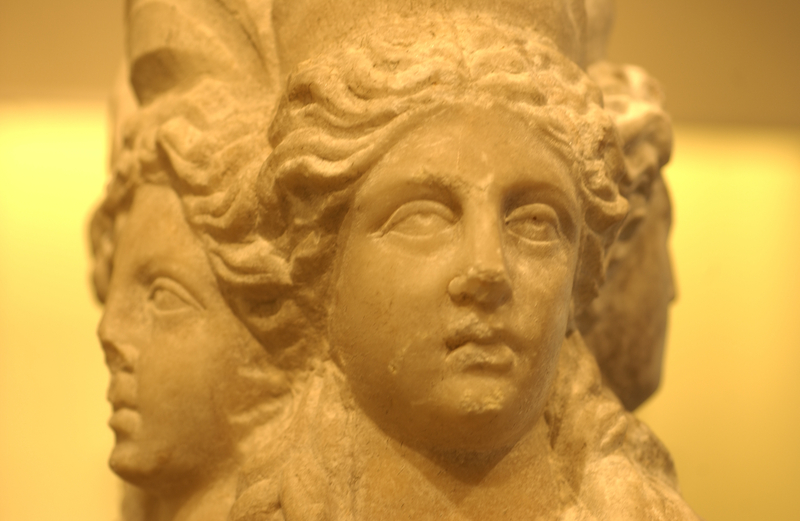 The ancient Romans were very superstitious. They believed that any food that fell on the floor during a meal belonged to the gods and it was considered bad luck to sweep it up during dinner. The ancients Romans even decorated their dining room floors with mosaics depicting realistic-looking scraps of fallen food. Our modern-day custom of throwing a pinch of salt over your should for good luck came from ancient times. Back then, if salt spilled on the table the ancients would toss a bit more onto the floor as an extra gift to the gods to ward off angering them and avoiding reprisals. The Romans, like the Greeks before them, did not use forks but ate elegantly with their fingers, following such etiquette nuances as picking up preserved fish with one finger but fresh fish with two. Like this article? Don't miss "In Rome, Nero’s Domus Aurea Comes to Life with 3D Animations." Marcus Martial, who lived during the reign of Nero, wrote hundreds of short humorous poems called epigrams, which provide one of my favorite glimpses into the past. Martial unabashedly admits to sending honey cakes to elderly men in the hopes of a mention in their wills and of finagling invitations to choice dinner parties. 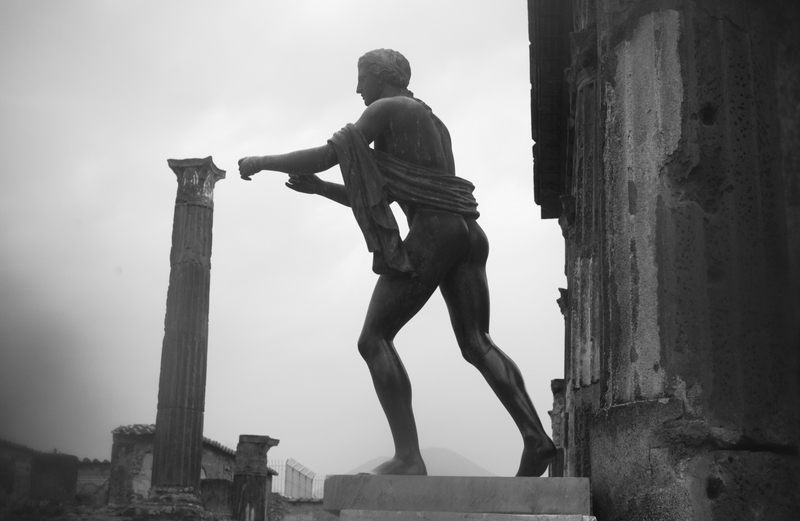 His poems touch on many aspects of daily life including men’s talk at the public baths, Roman women’s supposed promiscuity, gladiators sold at auction, snail forks, and the virtues of coming to a dinner party with your own napkin. Marcus Varro, an ancient Roman author, wrote a book of humorous essays and advised that conversation at dinner parties should be “diverting and cheerful” and that guests should remember to “talk about matters which relate to the common experience of life.” Jokes and story telling were then, just as now, a lively part of dinner conversation in Italy and certain guests were invited to dinner because of their wit. Two thousand years ago, Plutarch counseled that “the man who cannot engage in joking at a suitable time, discreetly and skillfully, must avoid jokes altogether” and that humor should be “casual and spontaneous, not brought in form a distance like previously prepared entertainment. ” Still sounds like good advice today. You can’t enjoy free speech AND food. And you, as host, wonder that I won’t go. I can’t enjoy sociable solitude. Yet a certain poet calls them crude. To please my guests, not fellow cooks. Egg dishes, like the Asparagus Frittata below, were popular appetizers in antiquity as we can infer from the Latin saying, ab ovo usque ad malum, “from egg to fruit,” the equivalent of our expression, soup to nuts. 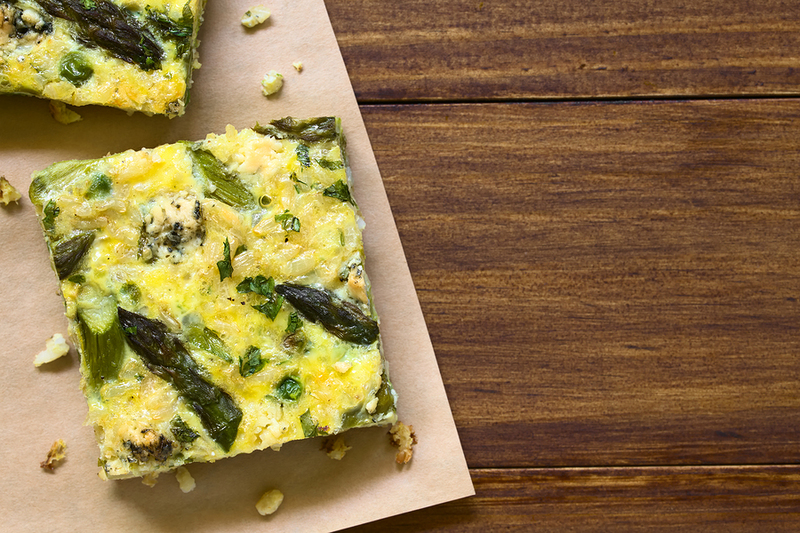 This delicious asparagus frittata makes a perfect appetizer or, served with salad, an elegant light lunch. Beat the eggs, coriander, savory, and parsley in a bowl. Season to taste with salt and pepper. Set aside. Heat the oil in a skillet over high heat. Add the asparagus and sauté until tender, about 4 minutes. Add the onion and continue cooking on high until golden, 3 to 4 minutes. Lower the heat to medium, pour in the egg mixture, and scramble slightly to mix. Cook until just set and beginning to turn golden. Invert the frittata onto a greased flat plate and then slide the frittata back into the pan to cook the other side until golden. Top the frittata with feta and chives, cut into quarters, and serve warm. The marmalade is delicious with any grilled meat, but especially lamb. 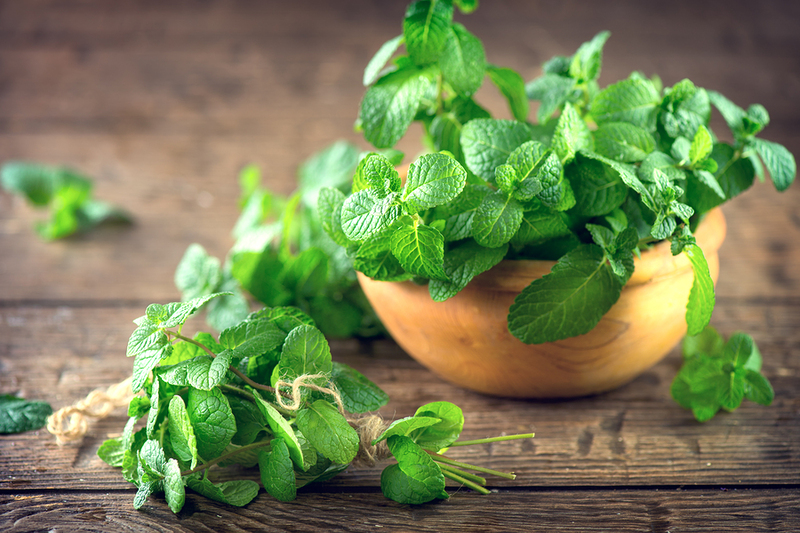 It’s also wonderful on grilled vegetables, fish, or chicken. Simmer the vinegar, raisins, dates, and honey in a small sauce pan over medium heat until the raisins are soft, 2 to 3 minutes. Allow to cool to room temperature. Puree this mixture, along with the pine nuts and cheese, in a food processor until smooth. Add the mint leaves and pulse until minced. Slowly add the oil and continue blending until smooth. Squash was one of the most popular and frequently served vegetables in ancient Roman time. Liberally season the chicken with salt and pepper, and dredge in flour. In large sauté pan, warm the oil over high heat and brown the chicken on all sides. Remove the chicken from the pan. Remove all but 3 tablespoons of the remaining pan juices and add the caraway, cumin, and squash. Cook the squash until golden, 2 to 3 minutes. Add the wine to the squash slices and bring to a boil. Return the chicken to the pan, cover with a tight lid, and reduce to low heat. Simmer, stirring occasionally, for 30 minutes, or until the chicken is cooked through. 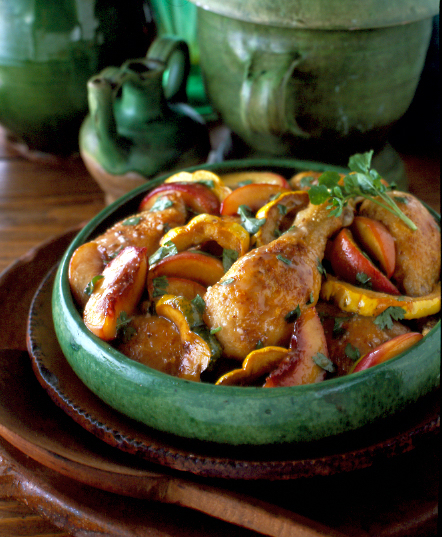 Remove the chicken and squash from the pan and arrange on a serving platter. Add the peaches to the pan juices and simmer for 5 to 10 minutes, or until the liquid is reduced by half. Remove from heat. Stir in the cilantro and watercress, and then pour over the chicken and squash.